Accidentally deleted an important file? Lost files after a computer crash? Let Free Any Data Recovery help you. Safe365 Any Data Recovery Pro can recover various types of files from PC/laptop, hard drive, lost or raw partition, USB drive, memory card, digital camera, music player or other storage devices due to deleting, formatting, partition loss, partition inaccessibility, virus attack or other data loss scenarios. 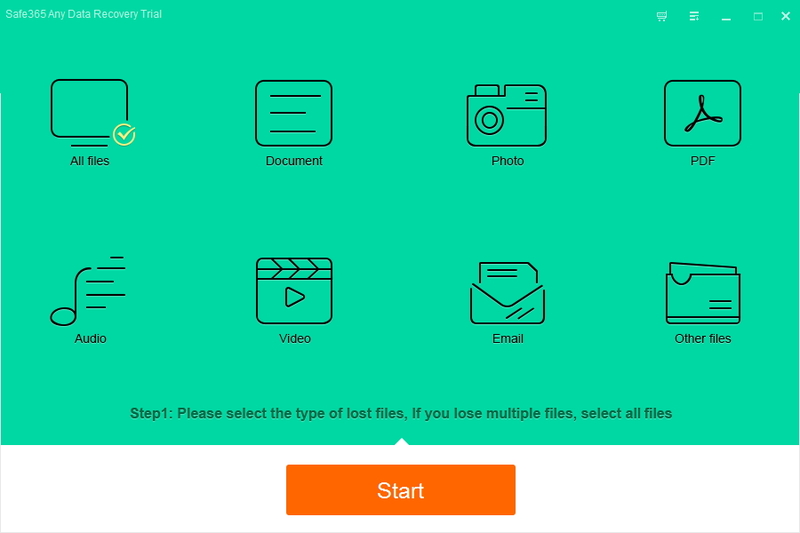 Just need 3 simple steps to retrieve all your lost data. 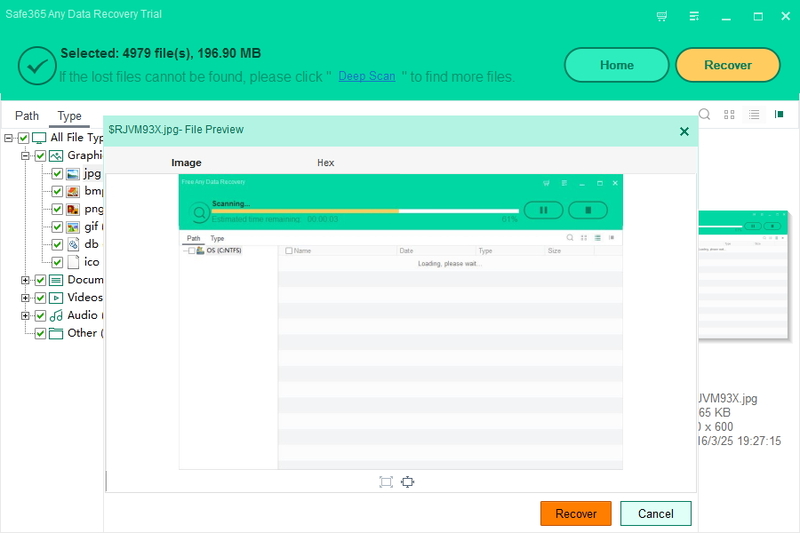 Step 1: Download Any Data Recovery Pro and install it on your computer (DO NOT install it on the disk where you lost your data, otherwise those lost files and data will be overwritten.). Select the file types you want to recover. Then click "Start" button to move to the next step. Step 2: Select a location to start finding data, like Desktop, Windows Libraries, Hard Disk Drives, Lost Hard Disk Drives. Click "Scan" button to continue.